As colder weather movies in, a bootie could be the perfect choice to stay warm and still look fresh. For a slimming look, go monochromatic from head to toe. It's easy to wear, especially if black's your neutral of choice. Only tuck your jeans into your booties if the neck of your boot is wide, otherwise cuff them. You don't want your pants bunching at the top of your bootie. Remember, you can wear tights or go bare-legged with your booties and dress, but a low cut bootie that hits right at or below the ankle looks great on every leg. Leggings are the only pants that, by rule, you can tuck into your booties. Sometimes you'll be able to tuck a pair of skinny jeans into your booties, but don't count on it. Leggings always look good INSIDE your boots, and if your boots and leggings are the same color, that continuous line from leg to toe will make your leg look that much longer. Don't be afraid to mix black and brown! The combo looks amazing together. If your bootie has fringe or other statement pieces, keep your pants basic. You don't want anything flashy on your legs to draw attention away from beautiful detail on your booties. 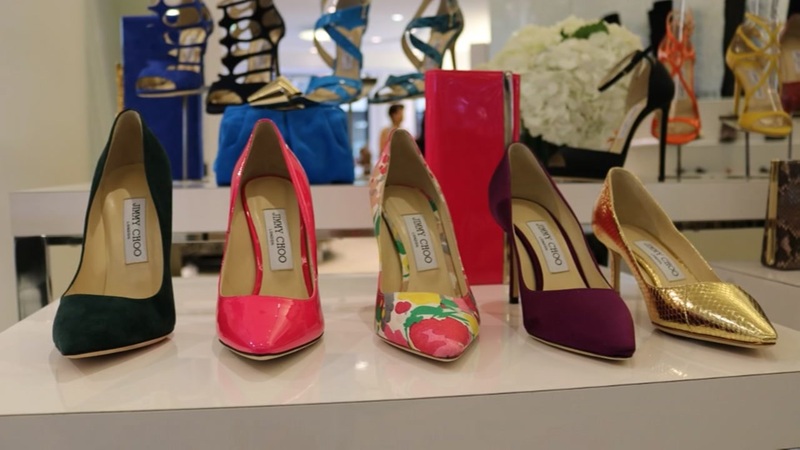 Want your own customized Jimmy Choos? Now you can have your chance at Tootsies in Houston.